The issues surrounding plastics, recycling plastics and mainly the sheer volume of plastic that we’re throwing away on a worldwide scale, aren't going away. We’ve been told there’s a good chance we’re swallowing plastics with every mouthful of water we drink. Thanks to a recent survey, around 83% of our water supply is likely to contain plastic – it doesn’t make good reading. Of course, there’s a whole industry working to alleviate the problem. Following the news that not only is there plastic in our water but also in goods such as sea salt, it’s great to see initiatives such as the Seabin Project. Described as a ‘floating debris interception device” the product has been designed to sit in calm water where it has the potential to catch an estimated 1.5kgs of floating debris a day. The device works by sucking up litter and the first to be installed in the UK is in Portsmouth. It’s a positive step and is just one of many moves to make good the issues the plastics industry has with waste and the environmental damage. I really enjoyed reading a piece by Olivia Boyd in the Guardian The plastics problem: are natural alternatives doing more harm than good? Boyd notes advances in bioplastic mean their use in packaging has surged but she asks, are they just encouraging us to throw things away? She highlights the work being done by Full Cycle Bioplastics which is turning food scraps into compostable plastic – the company says that once this is carried out at scale, the results will be as cheap as oil-based products. The article highlights how the move towards bioplastics may just be encouraging us to dispose of goods. And there are issues surrounding the continued manufacture of goods, rather than considering alternatives such as refilling or making things more durable which would ultimately lead to a reduction in both overall energy and the use of resources. It’s an interesting argument and I’m inclined to agree that where once we were encouraged to wholeheartedly recycle, there’s now a shift to make us recognise products we can just chuck in the bin. With the existence of biodegradable plastics and the way many companies are looking at manufacturing products using bio-based material, has it all become a little bit confusing? Boyd notes that consumer confusion exists around these products and she’s right. I’ve been recycling things for years only to be recently told I shouldn’t be. Are we aware of what’s bioplastic and what’s not? How good is the plastics recycling sector at communicating what we should and shouldn’t be hurling into the rubbish bin? But where does the medical plastics sector fit into all this? While it’s a niche market, the sector offers great potential and opportunity – figures suggest it’s global value will hit $33.6bn (£25.27) by 2025. Meanwhile the global plastic recycling market looks likely to hit $66.9bn (£50.30bn) also by 2025. The medical plastics sector does have ‘single-use’ at its core. And with good reason. Given the applications for many medical plastic devices, and the risk that re-use would pose to health, the argument for throw-away products is clear. But what is the industry doing to address issues of waste and how far is it going to develop new materials? Polyhydroxyalkanoates (PHAs) are bioplastics used within the medical industry for applications including bandages to help with skin regeneration, surgical pins and stiches. They also have applications in orthopaedic devices and implants. 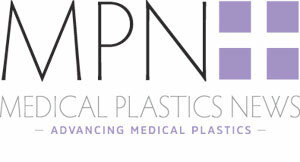 In the latest issue of MPN North America, Pyam Ramnes, outlines the plus points of bioplastics. He says: “Plastics are fossil-based and suffer biodegradability. Bioplastics, however, are organic-based and biodegradable. These kind-to-the-environment materials are from resources like plants and animals which are far more sustainable resources than the fossil-based resources like oil and gas. As a result, the biodegradability of bioplastics combined with the sustainability of their resources, make them a great candidate in the medical field. As well as the medical plastics sector looking at materials that pose less of a threat to the environment, there is an increasing move to addressing the issues of recycling. In the UK, RecoMed is a PVC take-back scheme initially implemented at seven different NHS hospitals. The scheme involves the collection of used PVC medical devices including IV solution bags, nasal cannulas, oxygen tubes, anaesthetic masks and oxygen masks. With around 1500 hospitals in the UK, estimates put the total tonnage of PVC waste at over 2,000 tonnes per annum. Thanks to this scheme, VinylPlus (the voluntary sustainable development program of the EU PVC industry) has commissioned the British Plastics Federation and Axion Consulting to develop a collection scheme for PVC medical waste. RecoMed was the result – a scheme involving the collection of certain PVC hospital waste which is then transported to a recycler, where it is transformed into tree ties. In the US a collaborative multi-hospital recycling project between the Healthcare Plastics Recycling Council (HPRC) and the Plastics Industry Association (PLASTICS) has been set up in the Chicago area. In the grand scheme of things these type of initiatives can be seen as small steps. And can we ever apply the arguments of general plastics recycling to the highly-sensitive world of medical plastics? Often there is no option but to discard a device due to the health risk it poses another patient if re-used. And much more needs to be done to avoid the infection risk some medical waste may pose before we can recycle medical waste on anywhere near the same scale as general household plastic. The world of medical plastic is complex. Just as designers and manufacturers continue to innovate to create devices that improve our health on a global scale, the materials and recycling industries are working to tackle issues of waste and disposal. There’s no quick-fix where medical plastics are concerned but at least we’re seeing a positive trend to tackle the serious and growing threat to our environment. When considering a bioplastic or landfill biodegradable plastic, one has to look at the total life cycle of the plastic. Plant based plastics can use plants that could be used for food, thus increasing the cost of groceries. Corn based plastics require a lot of nitrogen for fertilizer which escapes into aquifers and down into the Gulf of Mexico where its pollution creates a Dead Zone the size of the state of New Jersey. The plant based plastics require disposal in commercial and municipal composts. San Francisco has pickups for such products, but on the whole there are no way to get them to these disposal spots. There are about 60 or so composts in the US that do accept biobased plastics. They have to meet a 160 day requirement for composting and many do not do so. So they end up in a landfill, they last as long as normal plastic to break down. What a waste of plants! Landfill biodegradable plastics such as Green Film are made to break down in a landfill or buried. They are regular plastics with an additive that enable them to do so. Green Film is also backyard compostable and will break down as litter. Landfill biodegradable plastics are consumed by biota in landfills, or wherever they deposited and this creates biogas which can be harvested as a renewable energy. It is cheaper than solar, wind power, and natural gas. BMW runs a plant is SC which uses such biogas and runs 60% of the plant! In a study done Pitt Researchers, biobased plastics are the largest contributors to ozone depletion and are prolific polluters in production. Regular plastics were rated higher for ecofriendliness once in use. Just because it was a plant, doesn't mean a bioplastic is a better choice.